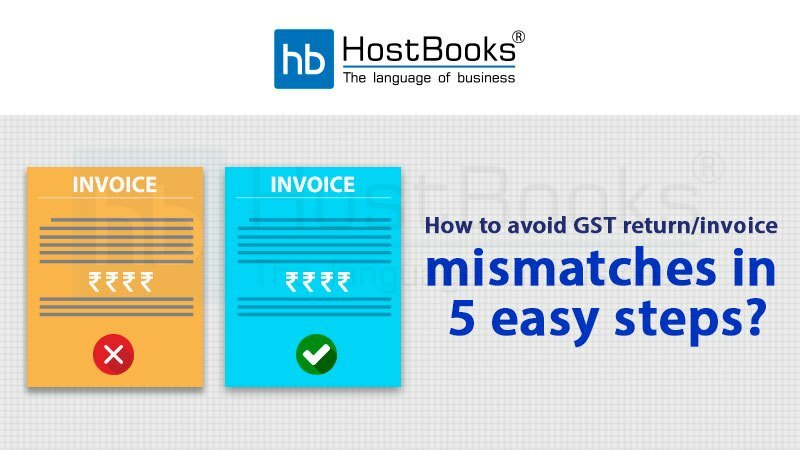 How to Avoid GST Return/Invoice Mismatches in 5 Easy Steps? Reconciliation of GST Returns/Invoices is a recurring event and needs to be performed periodically to claim the maximum credit as well as to avoid mismatches on a larger scale. But as a fact, mismatch in GST Returns and/or invoices has always been one of the most tedious tasks in the GST regime. Most of the businesses usually talk about the problems faced in terms of this issue. Reconciliation under GST is all about matching the data filed by the supplier VS the buyer respectively in their GST returns and further recording of all the transactions that have been made during that particular period. 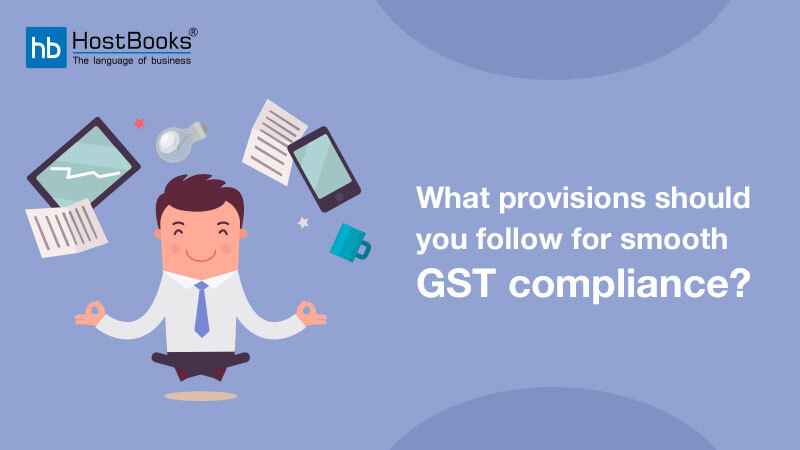 The whole process for reconciliation ensures that no sales or the corresponding purchases are omitted or wrongly reported in the GST Returns. Significant financial losses and compliance breaches can be eliminated if these reconciliation process are made regularly and compulsory within the organization. All the taxpayers should reconcile their data regularly with that of the vendors to claim eligible ITC (Input Tax Credit). Although the process of reconciliation is not too much difficult but can be time-consuming, as the taxpayers are required to keep an eye on any discrepancy or mismatches regularly otherwise it may affect the ITC claim. Under the reconciliation process of GST for the financial year 2017-18, the taxpayers are required to file each periodic GST returns mandatorily. Even if the due date for a particular GST return is missed, it should be filed along with interest or late fees (as applicable). The availment of Input Tax Credit Benefits and Matching and reconciliation process does not take off until the GST returns are filed. So, the taxpayers must update their books of accounts properly and align the tax returns accordingly. The taxpayers won’t be able to claim their adequate ITC until all the GST returns are filed online successfully. On the other side, the taxpayers must identify the mismatches and correct the relevant entries in the books of accounts. They should also rectify these details in the next GST return filing. GST laws do not entertain revision of tax returns filed in the previous periods. Nonetheless, it permits for the filing of the modified entries through an amendment return in the next periodic return. These amendment entries should be clearly furnished while filing GSTR 1 and GSTR 3B accordingly. N.B. – Please ensure that you pay adequate attention while matching the purchase register with GSTR 3B (uploaded on monthly basis) and with GSTR-2A details (data populated form the GSTR-1 filed by supplier). It is important to arrange the books of accounts, the GSTR-3B return, and GSTR-2A form properly to get the right ITC on the relevant purchases; alternatively, the taxpayer will lose the ITC claim and will lose the game with paying extra taxes. The agreement between the books of accounts and the GST returns is quite essential for claiming and availing ITC. Moreover, taxpayers at the time of claiming ITC on purchases must be conscious regarding taxes paid under the reverse charge mechanism. 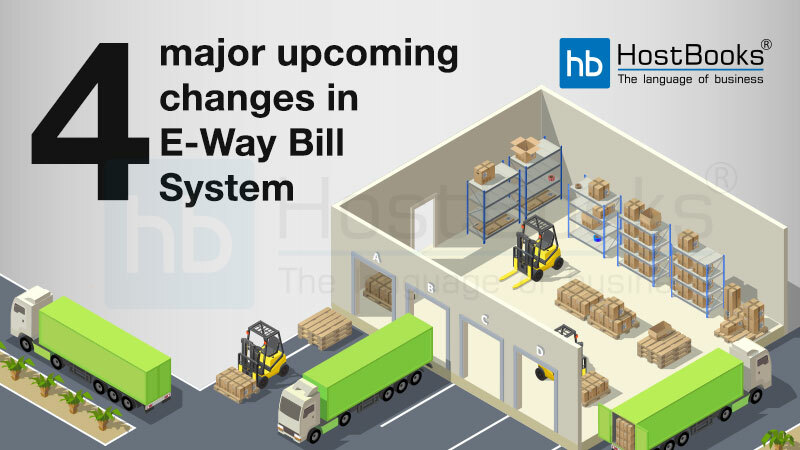 Nonetheless, a taxpayer can get a credit of taxes paid under reverse charge mechanism only if the goods and/or services are used or will be used for the business purpose in the future. Healthy communication is the base among vendors and customers. Smooth correspondence always results in uniform reporting of the details furnished in the GST returns. When the suppliers’ and the recipients’ synchronize their details before filing the relevant GST returns, chances of mismatches, omission or incorrect entries get reduced up to a great extent. It is also important to recognize the non-compliant vendors, interact with them, and resolve the queries at the right hour because doing so helps the recipients maximize ITC. And now, must keep it in mind that advanced reconciliation software can help to decrease this communication gap between the suppliers and the recipients. Such sophisticated software enables the users to send a reconciliation mismatch report to the vendors or suppliers to fix the issue at the right moment arising out of it. Use of some tools to reconcile GSTR mismatch will help the taxpayers to identify the lapses/mistakes/omissions easily and with minimal efforts. 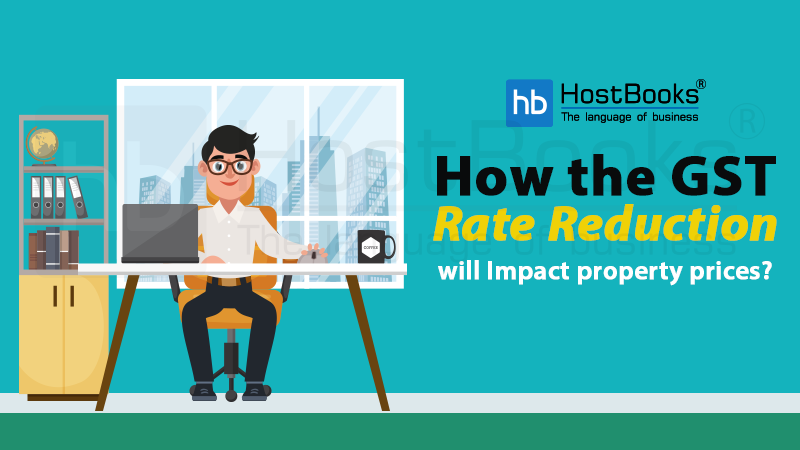 HostBooks’ online cloud based GST Software is equipped with this reconciliation capabilities. N.B. 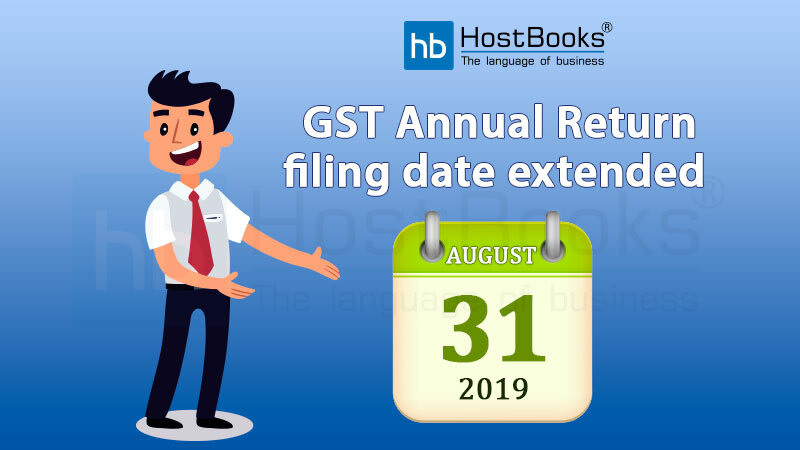 – Any taxpayer who has not claimed ITC in a previous month can get benefits of the same in the subsequent months, but not later than the filing of annual return i.e GSTR -9 or filing of GST returns for the month of September of the subsequent financial year, (whichever is earlier). Any sort of correction or changing to the previously filed returns can be executed within the prescribed timeline. GST reconciliation is an important activity and thus, needs to be performed by time to time to claim optimum credit and to avoid unnecessary complications due to mismatches. All the taxpayers shall communicate the queries with his /her recipients or vendors at the soonest and file errorless returns.